Horizon State is one of my favourite home grown (Australian) ICOs, while I didn’t get in on the ICO itself I’ve since jumped in head first, Horizon State has built a token-based blockchain voting and decision-making platform that delivers unprecedented trust through the integrity and post-unforgeable attributes of DLT (distrubuted ledger technology, AKA, the Blockchain). Horizon State delivers a secure digital ballot box that cannot be hacked, wherein results can never be altered, and voter identities are protected. The platform is already being used by MiVote, a Melbourne based not-for-profit which hopes to transform Australia into more of a direct-democracy. Horizon State has been engaged by NGOs, Governments, and private organisations around the world, to revolutionise the way they engage their communities. You can pickup your $HST tokens from my favourite Australian exchange Coinspot and also from Kucoin. Click here to head over to Horizon State’s website for more information. I want to show the differences in times frames by looking at both the Weekly chart and the Daily chart to see how to gain a better perspective on your investment/trades. You’ll notice we’ve been in a sustained bear market just like almost every other cryptocurrency since the beginning of the year. If you look at the first series of red candles you’ll notice a sharp drop, the second less sharp and the third has now flattened out into sideways movement with the last two candles showing some positive movement. This is a great indication that $HST has found it’s bottom. You’ll also notice that the lowest support line had been breached for a short period of time and we’ve now moved back, more positive feedback showing the bottom is in along with a slight increase in volume over the past 3 week. We also have the two momentum indicators RSI and MACD tending upwards, with the RSI making a more forceful move upwards coming into November. 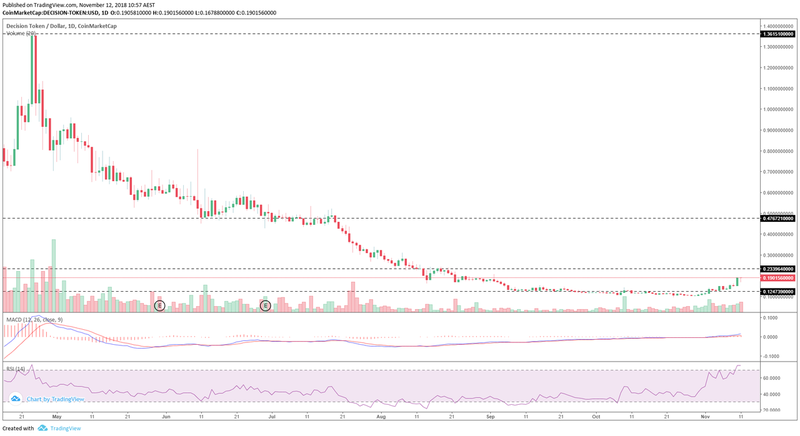 You’ll notice straight away it’s like we’re looking at a different chart, taking the time to change time frames or zoom in and out allows you to gain a different perspective giving better entry/exit points. 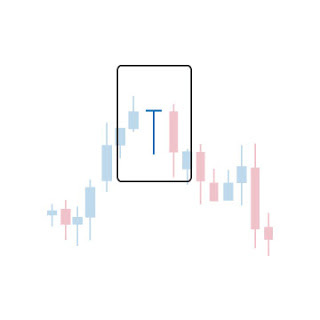 The last candle (which hasn’t closed yet) is in the form of a Dragonfly Doji which usually signals a reversal in price movement. I think it’s safe to say that in the short term the price of HST my revisit the recent lows of .12c giving a better buy entry, but taking into account the weekly chart above the long term movement of HST is likely to be of great potential. Thanks for taking the time to read my article, help me out by donating and feel free to join any of the quality exchanges below with my referral links. This is not financial advice, I’m just a stranger on the internet.